JULY 6: The Grizzlies have officially signed McLemore, according to the NBA’s transactions log. JULY 2: The Grizzlies are finalizing a deal with Ben McLemore, Adrian Wojnarowski of ESPN tweets. The pact, Chris Haynes of ESPN adds, is said to be for two years at $10.7MM. The 24-year-old shooting guard has strung together four underwhelming seasons with the Kings after getting picked seventh-overall in the 2013 NBA Draft. In 2016/17, however, he posted 8.1 points per game in just 19.3 minutes of action. There isn’t much standing between McLemore and a larger role in Memphis, USA Today’s Jeff Zilgitt suggests, noting that he’ll likely see significant minutes with his new ball club. The swingman does, after all, boast the physical tools to be a decent perimeter defender and is a capable three-point shooter. 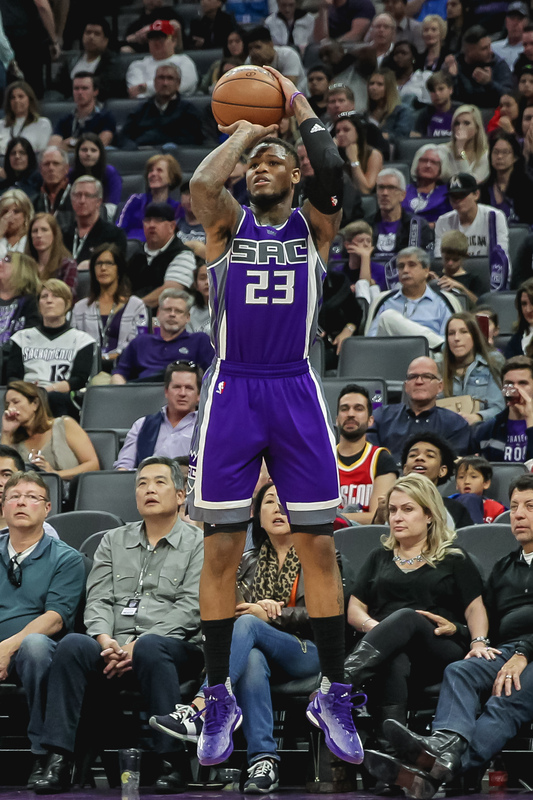 McLemore was eligible to be a restricted free agent this summer, but didn’t receive a qualifying offer from the Kings, allowing him to sign with any team as an unrestricted free agent. Based on the terms of the agreement, it appears the Grizzlies will use the full taxpayer mid-level exception on McLemore — a deal with that MLE would top out at $10,643,600 over two years, and would allow the Grizzlies to avoid being hard-capped. I doubt Memphis will go too far into the tax, if they even exceed that tax line at all. But if the team wants to try to bring back JaMychal Green, Zach Randolph, and Tony Allen, it will get expensive. The Grizzlies are projected to have more than $98MM in guaranteed salary on their 2017/18 cap after taking McLemore’s deal into account. That doesn’t include Green, Randolph, Allen, or the team’s other free agents. Perfect fit, he can come off the bench and knock down 3’s. I would like to see him starting though. They badly need to keep Green. Tony Allen to Boston for the room exception after they sign Hayward and make a trade for a big like DeAndre.